Beam Dental is partnering with Flock to bring their shared notion of a better product in dental insurance to innovative brokers. Beam Dental and Flock are partnering to bring tech to dental insurance. This is a fantastic example of how the customer experience can be enhanced by pairing great technology with the broker's expertise in client needs. One of the major themes in technology over the past decade has been the infusion of software into non-traditional industries; the evolution of 'technology' as an industry in its own right and captured perfectly by Marc Andresseen's proclamation that 'software is eating the world'. Thus, today if we are to learn anything about the direction in which the world is moving, it is fundamentally toward technology-based tools, products, and services that make virtually interactions better, faster, and smarter. An area recently seeing innovation (and over $1B in investment) is in the world of insurance technology and employee benefits, where the traditional broker and HR staff now have a number of new tools to play with -- software to make shopping for, and managing, payroll, insurance, and employee documentation easier than ever. Beam partners with Renaissance Dental to play a central role in this revolution when it comes to employers offering the world's best and most cost effective dental benefits experience to their workers. The Beam benefit solution is unique in that it adds a wellness element to the purchase of dental insurance by packaging Beams smart toothbrushes, paste, and floss along with a variety of dental insurance plans administered by Renaissance Dental. This approach to dental care helps keep individuals engaged with daily hygiene while encouraging preventive visits to their dentist. One of Beam's favorite tools pointed at brokers in particular is Flock; a fantastic example of how the customer experience can be enhanced by pairing great technology with the broker’s expertise in client needs and the personal touch. We are excited to announce that we are partnering with Flock to bring our shared notion of a better product in dental insurance to its platform of innovative brokers. Flock represents a cutting edge product that we believe can help deepen the quality of service that the modern broker can provide to their clients. And since Beamis interfacing with exactly this group of engaged and tech-oriented brokers, the partnership is a natural fit on both sides. Beam is proud to join Flock's fast growing group of top employee benefits brokers and look forward to helping serve them the best product experience in the industry nationwide. Beam offers employers, individuals and families a fundamentally unique approach to dental care. We accomplish more by focusing on prevention. All Beam plans include our connected brush, alongside automatic shipments of toothpaste and floss. Our accompanying app helps measure progress and rewards users for improving their dental health. 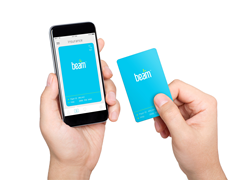 Beam also makes it easy to find and access dental services with the tap of a finger. We're Beam, and we're reimagining the dental industry from the ground up. Beam is based in Columbus, Ohio. To learn more about Beam, please visit http://www.beam.dental/. Flock is a software as a service company focused on the rapidly-changing online insurance and HR compliance market. Flock is designed and built for the small to mid-size businesses that benefit from an application that simplifies the employee lifecycle and easily integrates with existing broker relationships that can be overlooked by the larger cloud-based software companies that focus on health insurance coverage. For more information, visit http://www.helloflock.com. Renaissance Dental underwrites a variety of dental insurance coverages through Renaissance Life and Health Insurance Company of America and Renaissance Health Insurance Company of New York. The Renaissance Family of Companies collectively provides dental coverage for more than 13.1 million people, paying out $3 billion for dental care annually. Renaissance has more than 55 years of claims processing experience, giving the company the ability to create innovative and flexible plans. The company’s goal is to provide exceptional customer service, manage costs and pass the savings onto clients. Renaissance has an “A” rating from A.M. Best and offers nationwide ancillary benefit solutions for employer groups and individuals.